You are currently browsing the tag archive for the ‘Alter’ tag. Actually I’m in the middle of the last written final examination that I will do in order to receive my bachelor degree. I just decided to take a short break since I’m have too much stress after studying non-stop. Blame that one to my laziness studying regularly before final exams. Anyway, I’m glad that two of my packet arrived safely in my home during these times. One is my Kudryavka Noumi 1/8 figure from Alter and the other is my [KSL Live World 2010: Way to the Kud Wafter] audio CD from Sofmap. 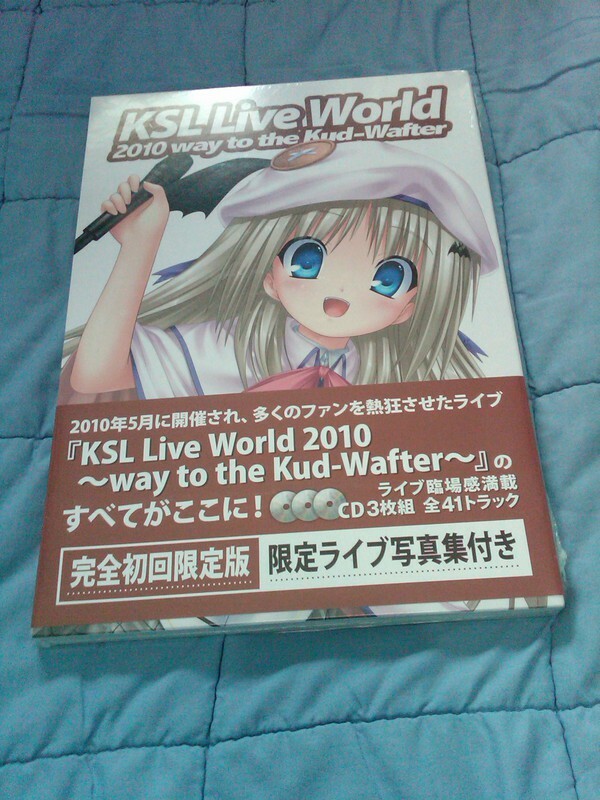 While I cannot really take my time enjoying my new Kudryavka figure, before these crazy written examination ends, I can enjoying my KSL Live World 2010: Way to the Kud Wafter CD while studying the exam material. I must say, I am really satisfied with the CD. Too bad I didn’t manage to get Albina ~Assorted Kudwaf Songs~ CD that was released on last Comiket 79. I really hope that CD is not an exclusive C79 release. Oh well… time to go back studying the exam material and probably my new CD.